“The origins of the European Movement lie in the aftermath of the Second World War'” writes David. “More than eight hundred delegates from across Europe gathered in The Hague in May 1948, under the chairmanship of Sir Winston Churchill, to create a new international movement to promote European unity and prevent further wars between its European countries. The British section of the European Movement was founded a year later. 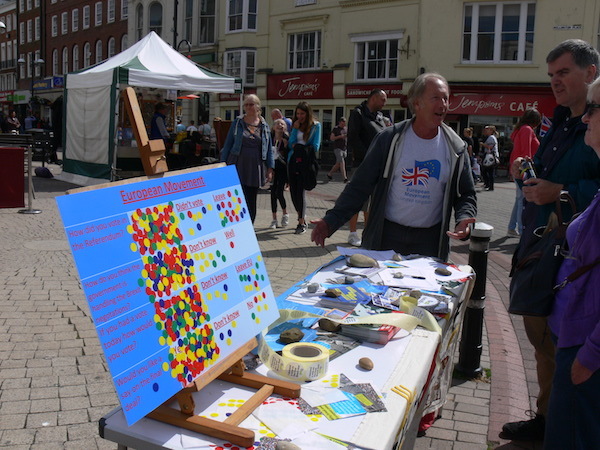 “The European Movement is an independent, cross-party organisation committed to keeping the UK in the EU. We draw our strength from our members, supporters and volunteers. Our belief is that there is no deal better for our country than full EU membership and our nationwide grassroots network is campaigning to keep the UK at the heart of Europe. “The main aims of the Branch are to promote awareness both of the benefits of the UK’s membership of the European Union and of wider European issues – and to contribute to the debate on the political, social, economic, environmental and cultural policies of the European Union. 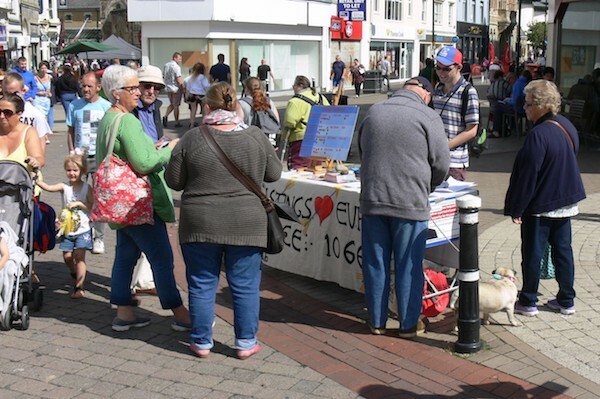 “The 1066 branch of the European Movement has been set up to give people living in the Bexhill/Battle and Hastings/Rye constituencies the chance to meet together at a local level as well as the opportunity to campaign for a People’s Vote on the final Brexit deal. 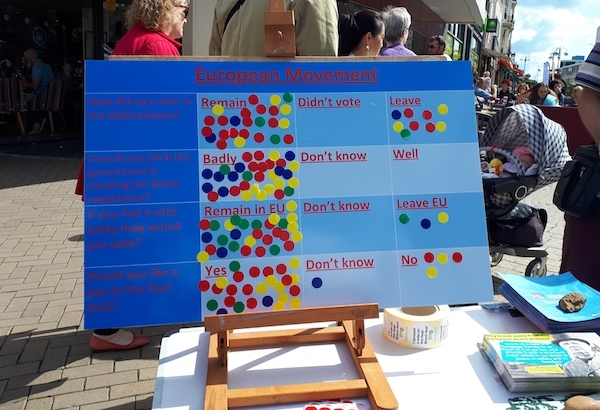 “Since its formation at the beginning of 2018, the branch has greatly increased its membership and supporters and has held action days to canvas for a referendum on the final Brexit deal. Further action days will be held locally on the 29 September and in London in October. “New members are very welcome to join us to support the campaign for a People’s Vote. 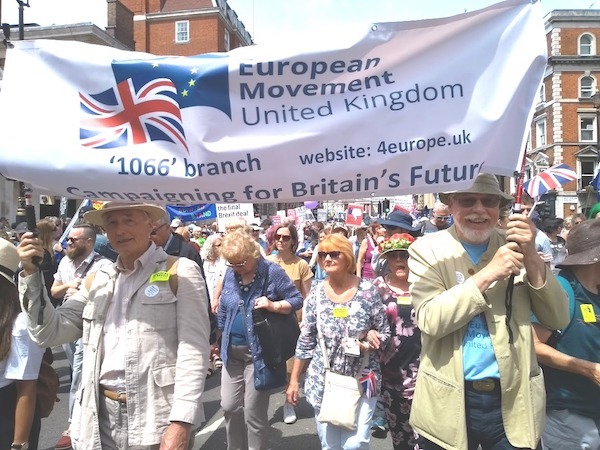 To find out more, follow this link: European Movement 1066 Branch. « One hundred years and what have we got?